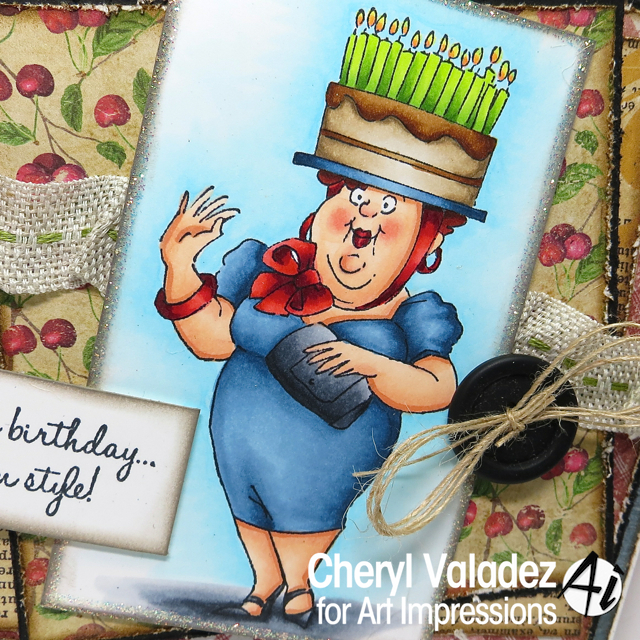 The Ink Trap: Birthday Hat from Art Impressions! Hola! Post number two for today! 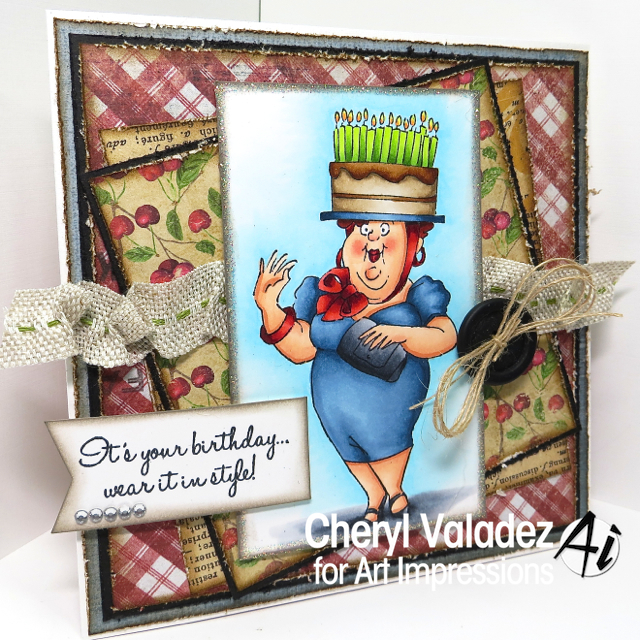 I'm sharing this card on the Art Impressions Blog and it features a snazzy set called the Birthday Hat Set. Perfect for all your stylish friends who have birthdays coming up. I'm afraid I wouldn't be able to pull off the same elegance of the darling lass on my card. Mainly because I would not have the opportunity to wear my birthday cake as a hat because I would have eaten it...LOL! Find this fabulous image in the Ai Shop along with a tons of others! Also, visit the Art Impressions blog for daily inspiration from the Design Team! I best be scooting'! Until next time, stay crafty! Fantastic card, such a fun image.The whole card is so artfully composed, you have such a talent for pulling all the elements together and of course your colouring is legendary.